Southern Gothic | Movies | Style Weekly - Richmond, VA local news, arts, and events. Former Richmonder Mark Linkous was the first dishwasher at Millie's Diner and went on to international music acclaim. As filmmaker Alex Crowton sees it, Mark Linkous was a character from the works of Tennessee Williams or William Faulkner. While such singers as Nick Cave try to cultivate a Southern gothic image, Crowton says, "They're not the real deal — whereas Mark was the real thing." 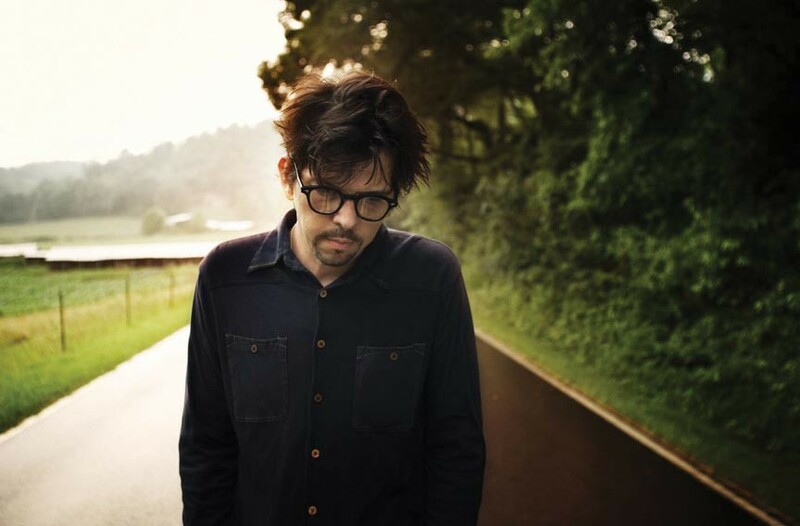 The music documentarian, of Bo-Ho Films, is shooting "The Sad and Beautiful World of Sparklehorse," about Virginia native Mark Linkous, who committed suicide in 2010. An internationally acclaimed musician who performed and recorded as the band Sparklehorse, Linkous performed alongside or collaborated with artists varied as Radiohead, REM, Tom Waits, Danger Mouse, the Flaming Lips, P.J. Harvey, Daniel Johnston and Academy Award-nominated film director David Lynch. "When he died, I was just mortified and I thought, 'This is a real Southern tragedy,'" says Crowton, 35. Also a film lecturer at Staffordshire University in Birmingham, England, Crowton shot a 2007 promo video with Linkous for the Sparklehorse album "Dreamt for Light Years in the Belly of a Mountain." His other works include a short documentary about Rolling Stones producer Jack Nitzsche and promo films for musicians Josh Ritter and Paul Curreri. "Mark was such a nice guy, a real gentleman," Crowton recalls. "He was quite gentle but there was this dark side to the music ... and also this beauty and mystique and surrealism. He just fascinated me. ... He was a real genuine artist. ... This mix of country and punk rock and electronic strange kind of sounds, there was nothing pretentious about it. It was very much from his heart. I don't think he saw boundaries in music the same way as some record labels do or some artists try to put themselves in some bracket." Crowton says he plans to have the film completed and touring the festival circuit in about two years. He's co-directing and co-producing the work with his business partner, Bobby Dass, and they've already shot several interviews with European musicians and producers who knew Linkous, including Portishead guitarist Adrian Utley and members of the band Mercury Rev. The filmmaker has raised more than £6,500 (or about $10,200) on Indiegogo, the U.K.'s Kickstarter counterpart, to pay for a trip in July or August to America. He'll shoot footage of the places Linkous lived in Virginia and interview Linkous' friends, family and colleagues. REM's Peter Buck has expressed interest in being interviewed, and Crowton hopes to land interviews with other notables who knew and worked with Linkous, such as Waits and Lynch. Linkous, who grew up in Front Royal and Charlottesville, started Sparklehorse in Richmond, where his friend and Cracker frontman David Lowery produced Linkous' first album, "Vivadixiesubmarinetransmissionplot." Sparklehorse went on to open for Radiohead and REM, and Linkous collaborated with well-known musicians such as Waits, PJ Harvey and the Cardigans' lead singer, Nina Persson. Sparklehorse was a much more popular act in England and Europe than America. Linkous was viewed in England as a gifted and unique songwriter, Crowton says, considered on par artistically with other performers with loyal cult followings such as Waits, Daniel Johnston and Jeff Buckley. "He was recognized as a real artist, but he struggled economically," Crowton observes. While touring with Radiohead in London in 1996, Linkous overdosed on pills and alcohol, going into a coma and cardiac arrest. The incident left his legs atrophied, and for the rest of his life he required leg braces to walk. Estranged from his wife, Linkous committed suicide in March 2010 at age 47, shooting himself through the heart with a rifle outside a friend's home in Knoxville, Tenn.
His posthumous last album, "Dark Night of the Soul," was a collaboration with Danger Mouse and David Lynch, and featured guest performances by artists including Iggy Pop and the Flaming Lips. "Mark has left behind a body of distinctive, beautiful work," says English songwriter and producer John Parish, who produced P.J. Harvey and tracks on two Sparklehorse albums. "I think it sounds pretty timeless, so I hope it will be an inspiring discovery for generations to come." "Mark's music needs to be heard," says Irish singer and songwriter Gemma Hayes, who toured the UK and Europe with Linkous and, like Parish, was interviewed for the documentary. "A lot of people simply don't know about Sparklehorse. ... Hopefully this documentary will introduce his music to people and also celebrate his talent ... a very rare musical beauty that celebrates what's broken and rusty and butchered as well as what's eternally youthful and vibrant." Because Linkous suffered from depression, "sometimes being in the studio with him was hard work," Parish recalls. "Most of the time, though, he was a warm, generous and funny person to be around." Hayes recalls Linkous as "a sweet, awkward and incredibly compassionate man, one of the most genuine people I've ever met. ... There was no separation between man and music. He didn't hide or pretend behind his songs. ... The music had a purity to it. I always picture Sparklehorse like a man who stumbled around old bits of metal and bones in a wreckage and made them come to life again."